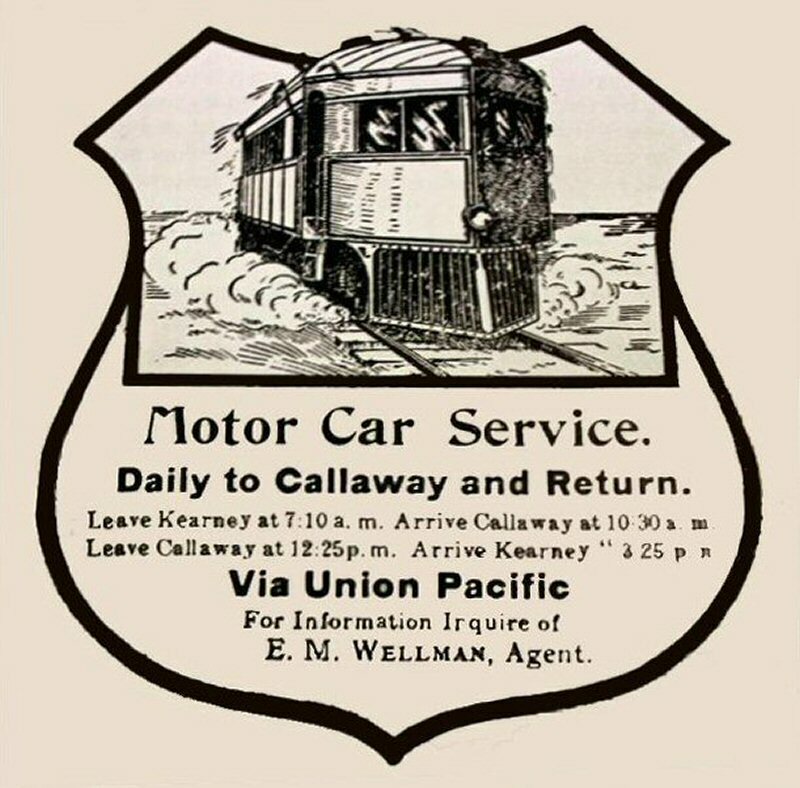 Union Pacific Railroad | The McKeen Motor Car Website Union Pacific Railroad | The Compendium of Knowledge on the McKeen Motor Car Company, and their experiments. The Battleship Class – #2, #3, #4, #5, #6, #9. 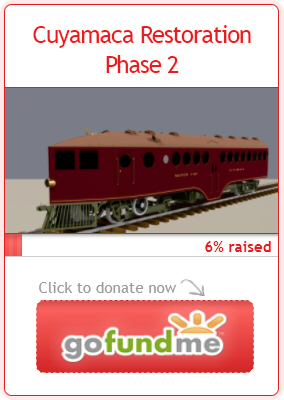 The Gilded Era – #7, #8, #10, #11, #12, #13, #14, M-17, M-18, M-19, M-20. Standardized and Simpler Times – M-15, M-16, M-18, M-21, M-22. 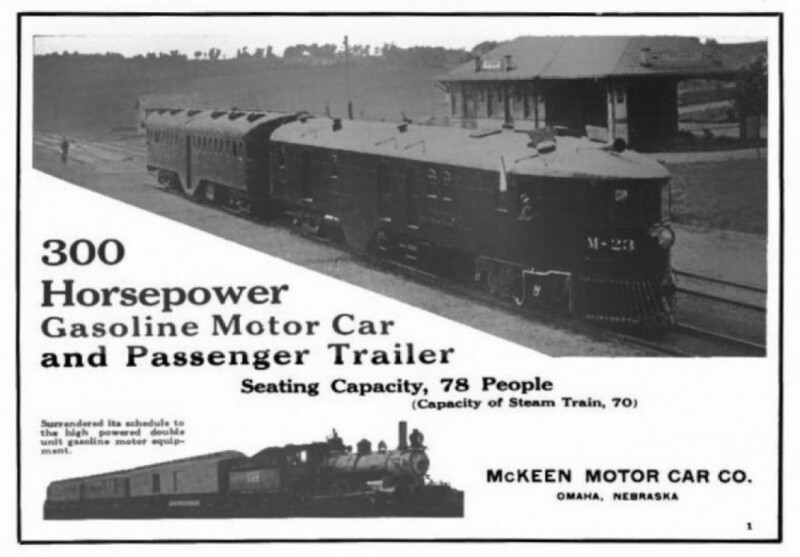 McKeen Cars built by the Union Pacific Co. after the Bankruptcy of March 1920. Switcher Engine on the U.P.R.R., notice William McKeen standing on the back of the engine. 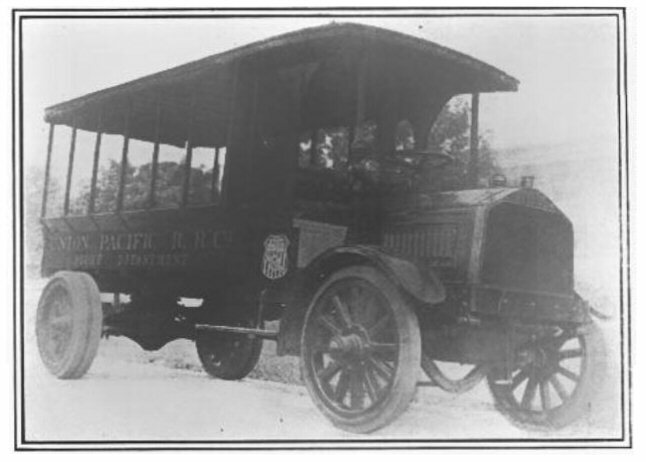 It is now known if he built this switcher, but considering the time of his involvement with the U.P., he may have built it as a prototype before building his 300H.P. model. McKeen Union Pacific Truck with most of the McKeen Minneapolis Bus. 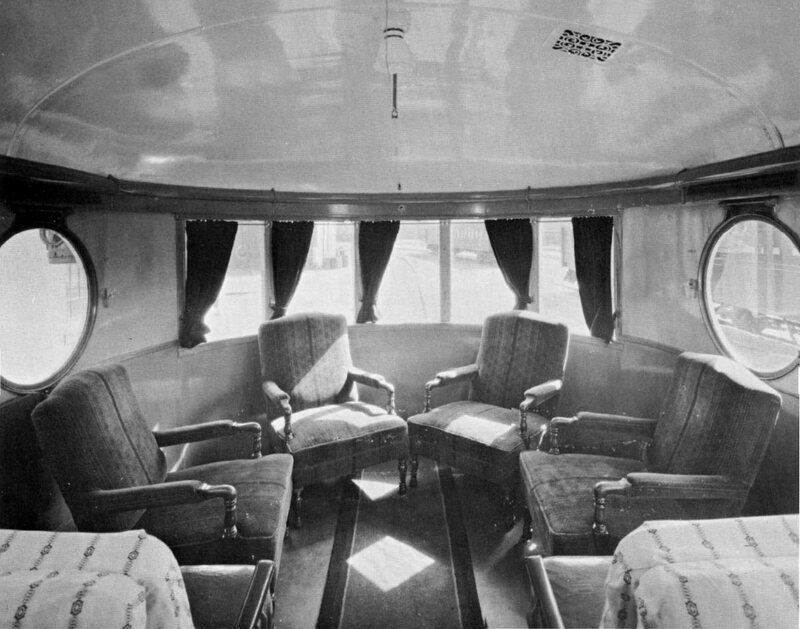 Interior shot of one of the early McKeen Cars modified with a lavish interior. McKeen Factory side view, Factory in right center. McKeen Factory in 1911 with U.P.#4 at right and two of the Ann Arbor cars inside. 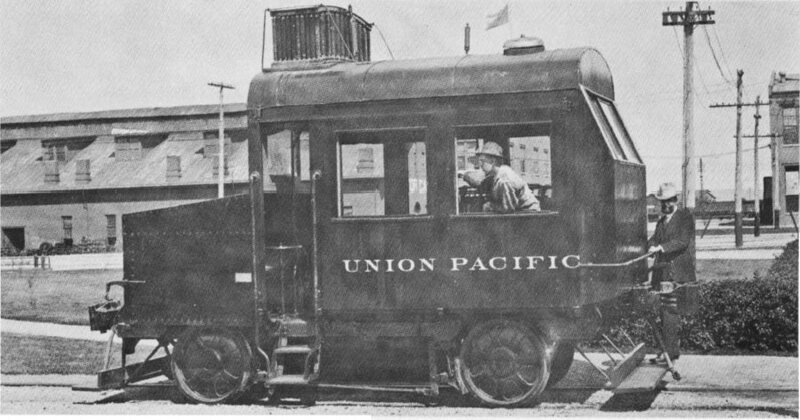 Union Pacific motor car at Union Station in Omaha, Neb. 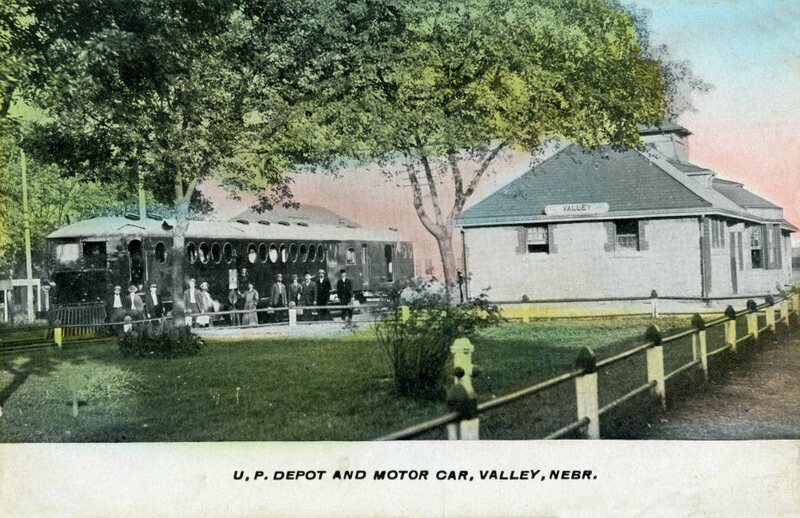 Unknown McKeen Car at Valley, Nebraska.